The debate over licensing structural engineers goes to the heart of how the practice of engineering should be regulated. This year marked 65 years since the District of Columbia became the last jurisdiction in the country to enact an engineering licensure law. As such, 2015 also marked 65 years that professional engineering licensure has protected all Americans from the unqualified practice of engineering. While licensing clearly protects the public, the specifics of how licensing is carried out are often debated. Nowhere is this clearer than in the debate between NSPE and structural engineering groups. For the better part of a decade, these groups, driven by the belief that PE licensure is inadequate for protecting the public from the unqualified practice of structural engineering, have been pushing for licensing of their discipline and more stringent testing through the National Council of Examiners for Engineering and Surveying 16-hour structural engineering exam. NSPE, meanwhile, has opposed SE licensure on the grounds that PE licensure works and any discipline-specific licensure would hurt practicing PEs and the profession as a whole. 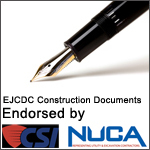 In 2012, the Structural Engineering Institute of the American Society of Civil Engineers, the National Council of Structural Engineers Associations, the Structural Engineering Certification Board, and the Council of American Structural Engineers of the American Council of Engineering Companies formed the Structural Engineering Licensure Coalition. Since then there has been considerable legislative activity pertaining to whether there should be a separate license for structural engineers. NSPE, for its part, has been opposing efforts to enact discipline-specific licensure during this recent flurry of legislative activity, which culminated in a coordinated call to action that successfully defeated an NCEES motion that would have changed the Model Law’s provisions on the practice of structural engineering. State societies have also defeated concerted efforts to push through SE requirements in Texas and Georgia. In Florida, a partial practice SE licensure bill was passed by both houses of the state legislature but was vetoed by Governor Rick Scott in June due to its grandfathering clause. At the same time, however, proponents of SE licensure have made inroads. An increasing number of states have formed licensure committees to organize and advocate for the enactment of state laws. Hawaii and Illinois have long had full practice restrictions for structural engineering, and the number of states with partial practice restrictions is now up to six. Despite the continued debate and recent legislative activity, no definitive research on the merits of structural licensing or the inadequacies of general PE licensing has been completed by either proponents or opponents of SE licensure. Anecdotal evidence and common sense observations, on the other hand, are not in short supply. The first question anyone unfamiliar with the SE licensure debate is likely to ask is whether the PE licensure system is broken or inadequate to protect the public from the unqualified practice of structural engineering. The answer is different depending on who you ask. A consulting structural engineer who has done plan reviews for local governments, Arnold says it’s plain to him, from doing such plan reviews, that the PE system doesn’t work. He adds that his firm, ARW Engineers in Ogden, Utah, frequently sees substandard structural engineering work. It should be noted that substandard structural engineering work is more than just dangerous designs. It includes poor designs that increase maintenance costs and overdesigns that increase construction costs, which structural engineering groups believe can also be reduced through SE licensure. In the same way that structural engineering groups think the PE licensure system is flawed and SE licensure is preferable, NSPE believes SE licensure is flawed and generic PE licensure is preferable. Despite the increased specialization of engineering, NSPE asserts that the regulatory answer lies in the current licensing system, not in creating a new license for every discipline. Arnold doesn’t disagree that current SE licensure laws are not uniform but contends that adding SE licensure to the NCEES Model Law would be the first step to creating uniformity. Therefore, he also contends, NSPE has contributed to the problem. NSPE’s third significant concern with SE licensure is that discipline-specific licensure would hurt the engineering profession’s unity. Under one general PE license, on the other hand, unity is improved. However, that’s the kind of thing NSPE is concerned about. “Discipline-specific licensure would damage public trust in any discipline that requires a generic PE license and, as a result, its ability to protect the public,” Austin says. It’s the opposite of the professionally unity and strength NSPE wants to protect. For 65 years, the health, safety, and welfare of all Americans has been protected by the licensing of professional engineers and, in the large majority of states, without the additional licensing of structural engineers. Now, the debate over a separate license for structural engineers is at its hottest point yet. With no signs of a cool down in sight, the engineering profession should prepare for more turbulence ahead. Where do you stand on the licensing of structural engineers? Send your comments to pemagazine@nspe.org.